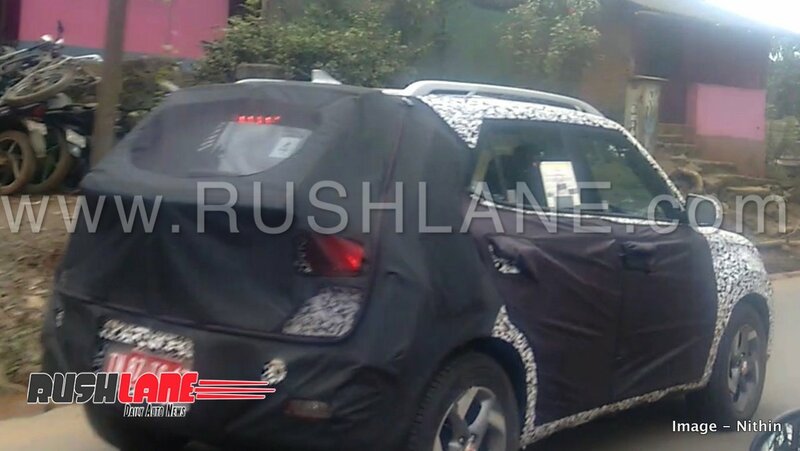 Hyundai started testing it’s Ecosport & Vitara Brezza rival early this year. 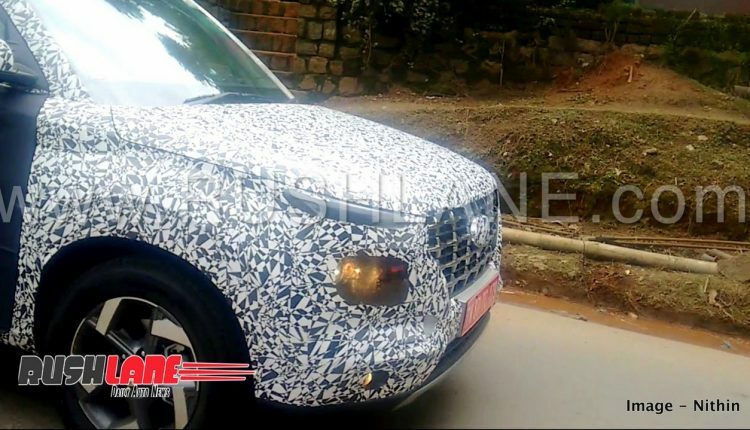 Many spy shots of the baby SUV, codenamed as QXi, appeared both from India and abroad. We already know that the car is based on the Carlino concept which was first showcased at the 2016 Auto Expo in New Delhi. 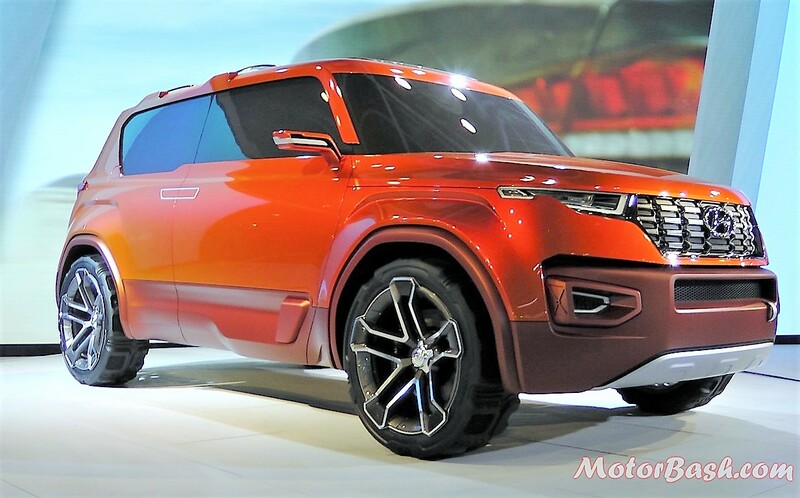 Now, further details around the upcoming SUV have emerged again. These details, together with a digital image of QXi, were shared in a story done by Autocar recently. We can see from the pictures that the car somewhat retains the butch look of the Carlino concept but, have shed the boxy design. It also features all the elements of Hyundai’s latest design theme. It will have a front grille featuring Hyundai’s new cascading design language, as seen on all the latest offerings from the Korean brand. 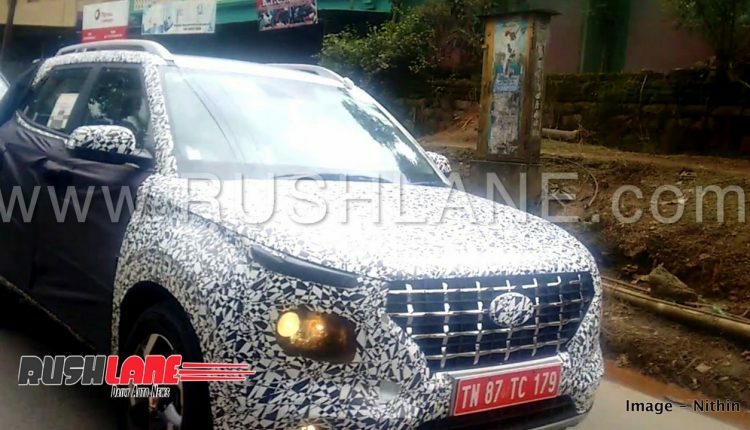 Further, it will feature the headlights with Hyundai’s Composite design where the headlight units are placed next to the grille while LED DRL’s are placed separately above it. 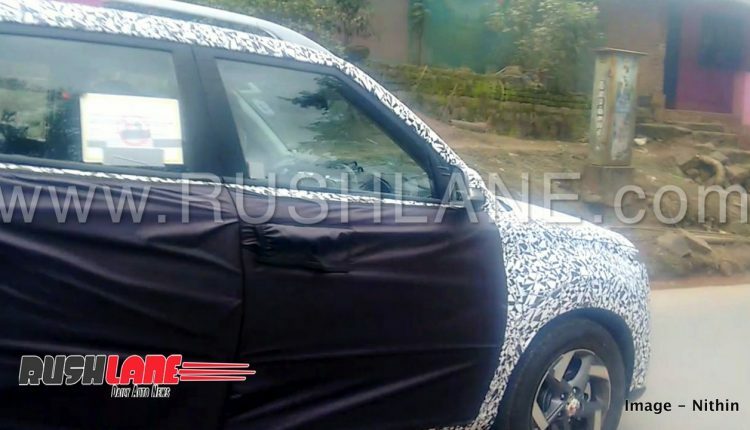 The car is expected to be launched in March 2019 in India. Hyundai QXi – What to Expect? From the various spy pics, we can see that the new SUV has, somewhat, seen a departure from the design language of the Carlino concept. The roof, for instance, will be tapering down towards the rear rather than being more straight-ish as on the concept. Also, the rear window will have the trailing arm follow the slope of the roof instead of being straight. Further, the bonnet appears to be slightly longer too, if compared to the concept. Another interesting bit to notice is the grille of the car. As said above, the car in the spy pics now follows Hyundai’s cascading design. Earlier test mules had a more quadrilateral shaped ones. The new grille will now make the car more in synch with Creta’s design. As mentioned earlier, the car will feature Hyundai’s Composite headlight design. The indicators and fog lamps appear to be placed at the extreme low end in the bumper. We can also notice a silver skid plate and a small air dam on the bumper. The wheel arches on the car will be big and cladded as well. This will enhance the “SUV” character of the car. 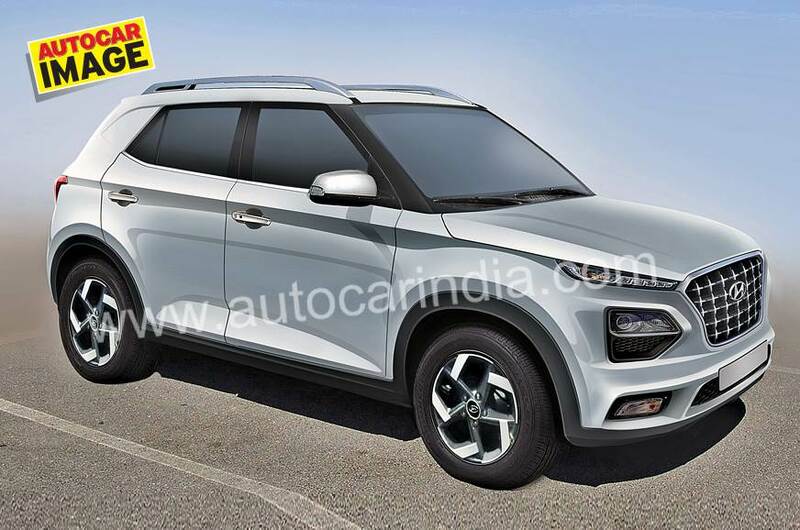 The tail end of the car is expected to be kept simple and mimic Creta to a larger extent. The spy pics do not show much on the interior of the car but, knowing Hyundai we can rest assured that the car will come loaded to the brim. Features like a touchscreen infotainment system, auto climate control etc. are a given. What we need to see is the design theme which the new car will carry on the inside. The new baby SUV from Hyundai is expected to come with multiple engine options. There is a rumour that the car will debut a 1L turbocharged petrol engine producing 118HP and 171Nm torque. Additionally, it will also get a naturally aspirated petrol option, maybe from the existing options available from Hyundai in India. Also, the car will be offered with a 1.5L diesel motor producing 115HP and 250Nm torque. We expect Hyundai to equip the QXi with both manual and automatic transmissions. There is a speculation that the Hyundai QXi will make its global debut early next year and then get launched in India sometime in March. The car is expected to be positioned under Creta and rival Brezza, Nexon and Ecosport in our market.